Resolution independent image conforming, editing, compositing, and finishing are performed utilizing Blackmagic Design Resolve and Autodesk Smoke. 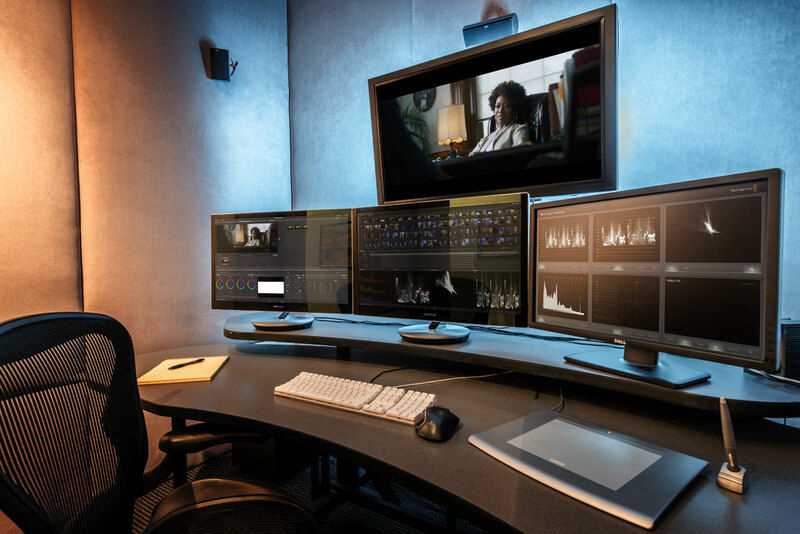 These node-based compositing systems, fully integrated with familiar non-linear editing tools, provide a fluid working environment to manage theatrical and broadcast content projects through to final delivery. The Avid Symphony Nitris is a high end HD finishing platform for long form documentary and episodic television work and provides fast, file-based media, non-linear editing workflows, and an ACES certified toolset.